The new Phoenix4 software update - version 4.2 - with many new features and further developments is available now and absolutely free of charge for all Phoenix clients! 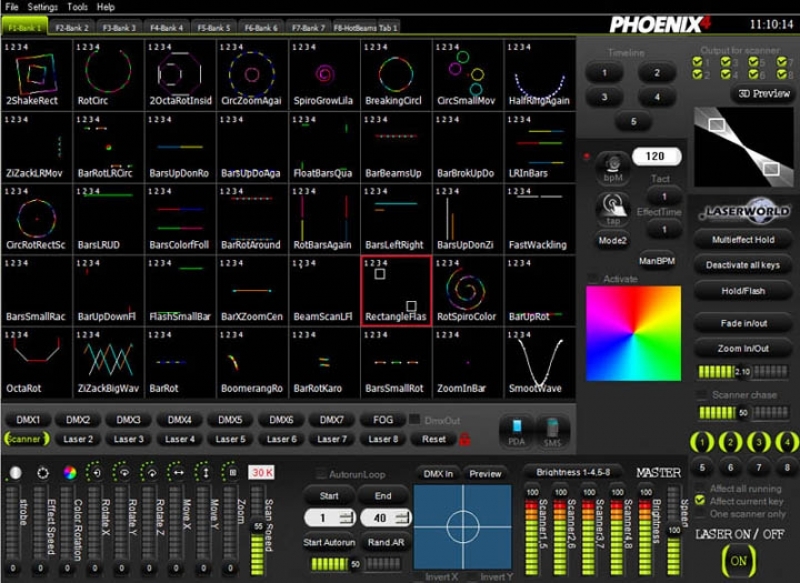 Phoenix released a new update for Phoenix4 software, supports the newest hardware and offers a lot of new functions and processing. 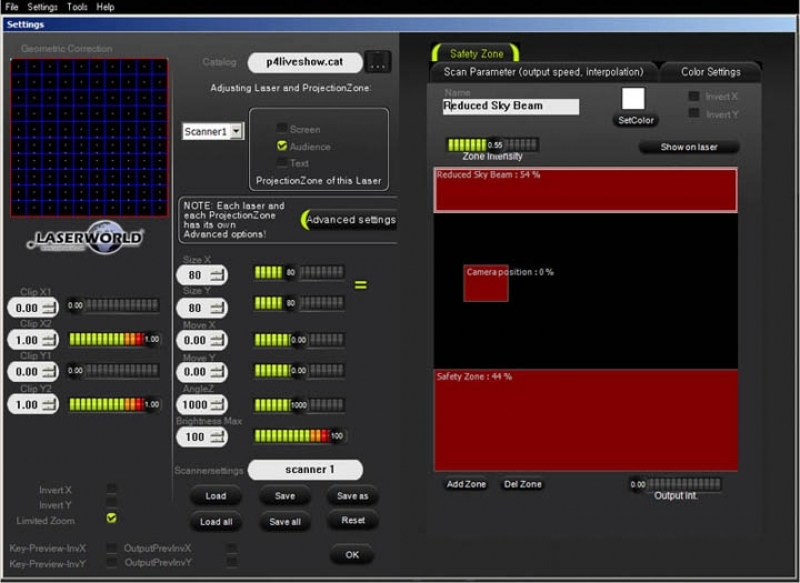 Phoenix4 laser control software is a software solution to control show laser systems as well as intelligent lighting fixtures. 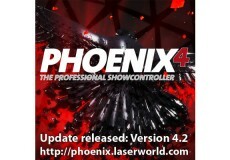 There are different Phoenix Showcontroller software packages available: Phoenix Live, Phoenix PRO and PRO+. Phoenix Live fits perfect for all DJs/LJs/Live laser operators, as it provides massive features for easy live laser control. 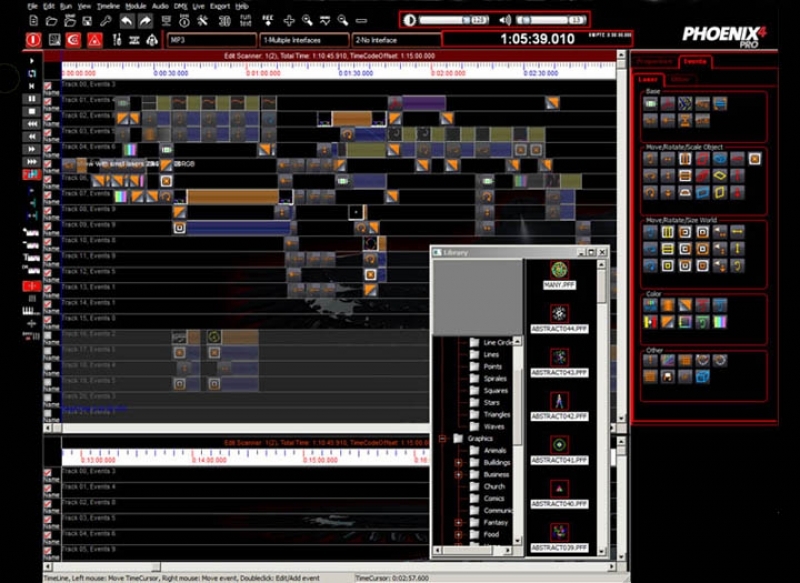 Especially for professional applications there are the timeline-based Phoenix PRO and PRO+. Despite of all various features all software versions are still easy and intuitive to handle. The new update provides different processing and new features. 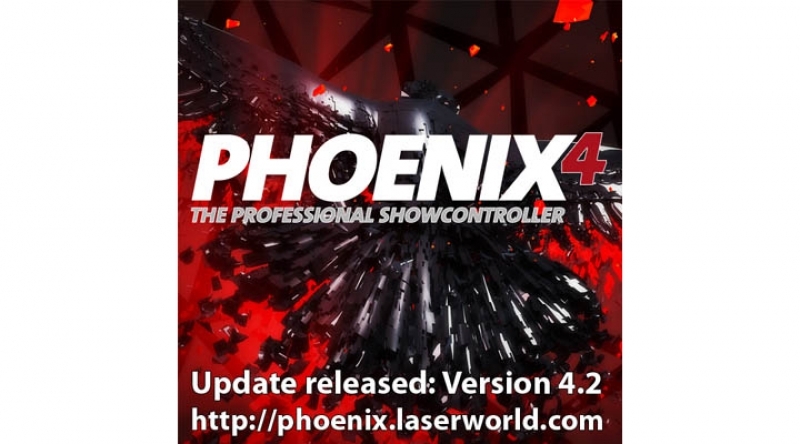 Besides userfriendly installation, improved graphical output and better general output quality, Phoenix 4.2 supports all older interface, like Micro USB V1, Micro USB V2 and of course the new MicroNET network interface. The PRO and PRO+ software update to Phoenix 4.2 improves the integration with Phoenix CAD software and MOTU Micro Express SMTPE interface. Furthermore the output quality was improved and the import of Pangolin LD2000 frames *.ldb, *lds is now possible. The installation of interface drivers is now automated which leads to a much smoother integration and increases usability. These are some of the new features in Phoenix 4.2. -Quick Access for USB Micro V2 interface settings at main menu. -Improvement of V2 ILDA-DMX-Player Uploader for Intensity/6-Color laser. -Improvement of V2 ILDA-DMX-Player settings for Enable/Disable DMX control channels. -Export/Import of whole animation banks. 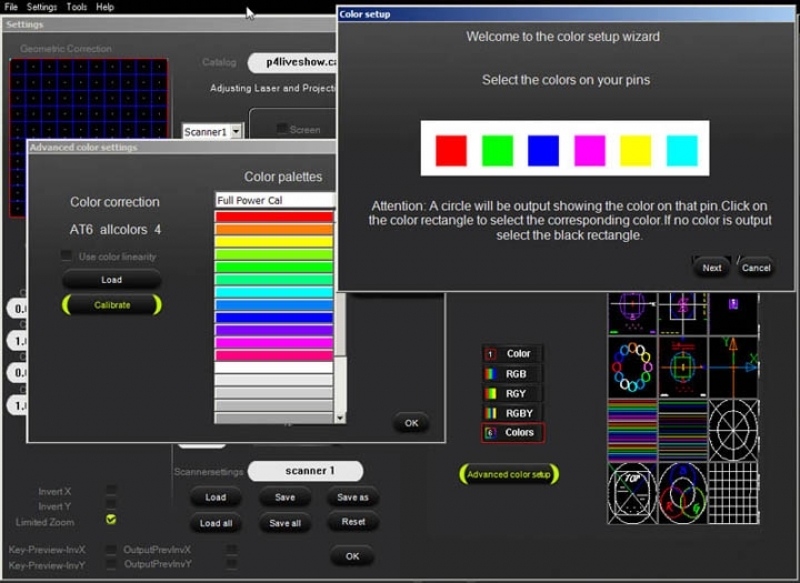 -Connection of Trickfilm and CAD for direct editing. -Improvement of MOTU SMPTE connection. -DMX Timeline improvements for better performance. -Quick show optimizations with “Edit Trickfilm list” feature. -Extended Drag-n-Drop feature for library items to events(e.g. laser loop event). -Automatic interface driver installation at program installation. -Warning when interface firmware is too old. -Improvement of USB 3.0 compatibility for USB Micro V2.